As the housing market recovers, more homeowners are looking to remodel their home to boost its value and equity. Remodeling Magazine’s 2014 Cost vs. Value Report shows a positive trend when it comes to recouping dollars spent on home improvements when it comes time to sell. Even homeowners who aren’t selling today, but remodeling for their own enjoyment can increase the value of their home by considering updates that will pay off in the future. “It’s always important to consider future plans to possibly sell when making updates to ensure the home will appeal to buyers,” reminds Patti Stern of PJ & Company Home Styling. For the second consecutive year, Cost vs. Value data shows the value of remodeling is up for all 35 projects in the survey. One of our favorite points as interior decorators and professional home stagers is Remodeling Magazine’s finding that the best-performing kitchen and bath project is a minor kitchen remodel — which includes new appliances and counter tops, and a facelift for cabinets. We do this all the time for our interior decorating and home staging clients and show an example below. 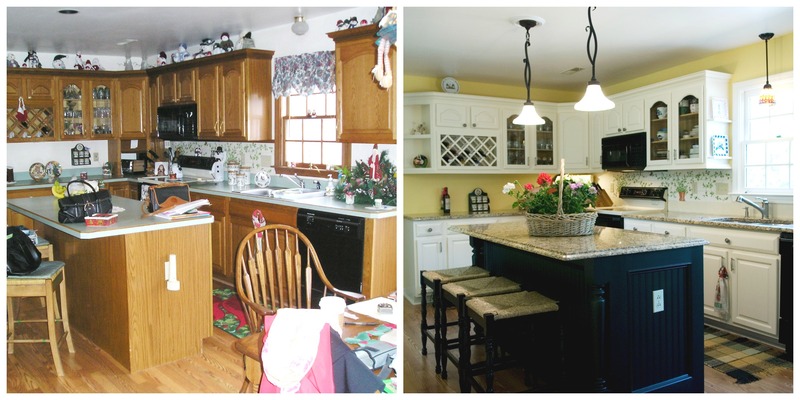 This kitchen update by PJ & Company included professionally painting cabinetry, replacing laminate counter top with granite, adding new light fixtures and adding trim and detailing to the existing island to give it a custom look. To see the full report click here Remodeling Magazine’s Cost vs Value Report.